Want to get more real estate deals done? Most successful real estate investors quickly learn that the key to getting more real estate deals done is through partnerships or joint ventures. Jeff Lerman tells us why 2 heads are better than 1 in this FlipNerd.com VIP interview…don’t miss it! Meet Jeff Lerman, real estate attorney. Learn about many of the benefits of working with others from a joint venture perspective. Join the discussion on what it takes to help ensure a successful joint venture, as well as common JV scenarios. Hey, it’s Mike Hambright with Flipnerd.com. Welcome back for another exciting VIP interview, where I interview some of the most successful real estate investing experts and entrepreneurs and those that serve us in the industry to help you learn and grow. Today, I’m joined by Attorney Jeff Lerman, of Lerman Law Partners, where Jeff specializes in helping real estate investors in many different ways, from entity formation to estate planning, litigation, and everything in between. Today, we’re going to discuss how to do more deals. 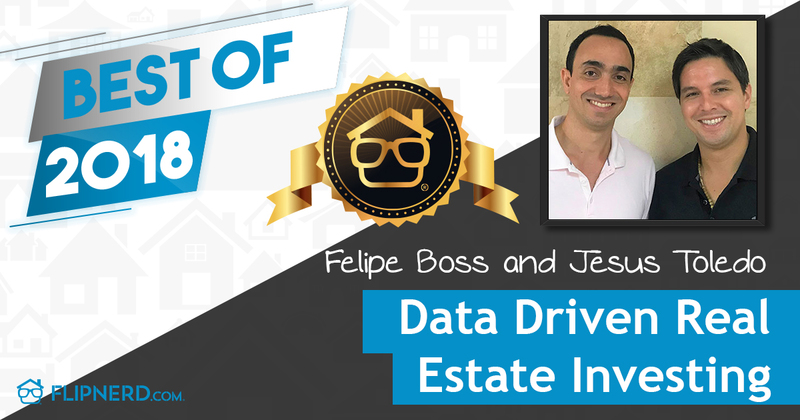 A lot of real estate investors don’t do more deals because they’re missing some component of getting more deals done, and Jeff has a ton of experience to help us in this space. Before we get started though, let’s take a moment to recognize our featured sponsors. Hey, Jeff. Welcome to the show. Jeff Lerman: Hi. Thank you. Mike Hambright: Glad you’re here. Glad you’re here. Mike Hambright: So, a number of… A lot of folks I know… A few other guests that we’ve had on the show recommended that we talk to you because you’re their real estate attorney and work with them in one way or another, and you came highly recommended. So, we appreciate you being here today. Jeff Lerman: My pleasure. Thanks for having me. Mike Hambright: Yeah. A lot of folks that are real estate investors, they see the legal side as maybe a necessary evil. There’s a lot of ways that you can enable people, through your network and through your knowledge, to do more deals, for sure. There’s no doubt about that. Jeff Lerman: Yeah, it’s just, I’m sure you know, one of the first things in Investing 101 is building a team. On your team, you definitely need to have a lawyer, as well as a CPA, and other people. Getting the right lawyer can really be an important part of achieving your real estate goals. Mike Hambright: There’s no doubt about that. It’s so much easier if you have those relationships built upfront than when something happens and you didn’t have that person there to protect you upfront. Jeff Lerman: Right. The other thing, besides being a real estate lawyer, is I’m also an investor myself. So, I chose to focus our practice… We branded ourselves as the real estate investors’ lawyer because this is the kind of client we want to work with. We understand investors. We’ve been there, right there beside them when they’re doing deals, and we know what it’s like to be under the gun. We really can talk their talk and relate to their frustrations and their hopes and aspirations. So, this is the business that we want to be in, as lawyers. So that’s, I think, one of the things people get when they come to us is a lawyer who uniquely understands what they’re going through from a business standpoint. Jeff Lerman: I think that’s important. Mike Hambright: Well, Jeff, for those that don’t know you, why don’t you introduce yourself and tell us a little bit about you and about your firm? Jeff Lerman: Sure. So, we have been doing this… I’ve been doing this real estate law for over 30 years and started our firm about 20 years ago. Like I said, we branded ourself as the real estate investors’ lawyer. They can see our website, Realestateinvestorlaw.com. There’s a lot of free resources for investors on our website, articles, and free reports that will help you do your business. We also do estate planning, and litigation, and transactions. We represent clients all over the country in transactions. In California, we represent clients in all transactions, litigation, and also estate planning. We basically help investors through the entire cycle of ownership, from initial real estate due diligence to purchase and sale agreements, loan documentation, entity formations, syndication, asset protection, and loans, I think I mentioned that, construction, and partnerships, joint ventures, and litigation disputes as they may arise in connection with all of those aspects of the cycle of real estate ownership. So, that’s who we are. That’s what we do. I’m past president of our county bar association. I’m past chair of the California state bar, real property litigation section, and former chair of our county real property section. I have been recognized as a super lawyer last year. That’s an organization where you are elected, nominated, recognized as a super lawyer by your peers. We’ve received the highest rating possible for ethics and competency by Martindale-Hubbell. We’re AV-rated, and we also have the highest rating possible on AVA. We have 10 out of 10, superb. So, that’s a little bit about who we are. Mike Hambright: Yeah, sounds like you guys are very capable, obviously. Well, talk a little bit about… The topic we want to talk about today is joint ventures. I know you have a lot of experience putting together joint ventures, partnering with them yourself even. Talk a little bit about… To clarify, you focus pretty heavily, at least yourself individually, on multifamily. Is that correct? Jeff Lerman: Right. I mean, that’s my preferred investment vehicle. I like multifamily. But everything that we do, we work with investors who are investing in everything from single-family to storage to medical, office, retail, everything. So, that [inaudible 00:07:10]. Mike Hambright: Sure. Sure. Sure. Jeff Lerman: I think you and I spoke a little bit before we got on today, and we were talking, trying to figure out what is the topic that I think I can give you today that would help the greatest audience, and I think this is it. I think that everybody… What we’re seeing right now is, as of the day of this interview, the economy, knock on wood, is still in a good place. You got a couple years left where I think, I personally believe this is the best time to be buying real estate that I’ll probably see for the rest of my life. It’s great. With interest rates where they are and the growth cycle where it is in most markets, it’s a great time to buy. But notwithstanding that, everybody that I know, including myself, could achieve your real estate investing goals faster with somebody else. For me, my personal biggest challenge is time. I’ve got a practice here that I maintain. Although I’ve got capital that I can invest, trying to find the needle in the haystack takes a lot of time. You have to sift through a lot of deals to find one that makes sense. So for me, the last joint venture that I did, I joint ventured with somebody who found a deal, but they needed the capital. So, I brought the money to the deal. I’m looking very aggressively right now for other joint venture possibilities where people have good deals, and they need a sponsor or money to get the deal, sponsor and/or money to get the deal done, so maybe somebody who can sign on the loan or somebody who could bring the money or both of those things. That’s just me. There are people, investors… Maybe what you need, if you’re an investor, the thing that’s holding you back, is you need more money. Maybe you don’t have the expertise. Maybe you want to do development deals and you need a developer to joint venture with. Maybe you are trying to do deals in an area where you don’t live. So you need somebody who’s got boots on the ground, whatever it happens to be. Joint ventures are distinguished. Joint ventures from syndications… Joint ventures is where you have two or more people coming together who are actively involved in the deal, where somebody is not just giving you their money, where they are actively involved in the deal. This joint venture that I did a couple months ago, even though I brought the money to the deal, I’m actively involved in the deal. We’re in calls all the time. I’m very actively involved in decision making. So, just because your main contribution is money doesn’t mean that you can’t also be actively involved [inaudible 00:09:52]. Mike Hambright: Right. Right. So Jeff, I know there’s a million flavors that a joint venture could possibly look like. Why don’t you share some of the most typical structures? You probably have… It’s fairly common where you have some money partners. You have somebody that finds the deal. Just talk about kind of a… For folks that are looking to use your advice here as a way to get started, talk about some of the most typical roles that they might play. Jeff Lerman: So, probably the most common vanilla joint venture structure is where you have one person, let’s call them the sweat equity partner, and then you have the other person who is the money partner. That sweat equity partner could be a contractor maybe doing fix-and-flips, or it could be a scenario where you’ve got somebody, again, who has put all the time and effort into finding a deal, but what they need is the money. They need the money partner. That’s probably the most common. The structure in those deals is typically comprised of a few different components. First, there is typically a preferred return given to the hard money in the deal, the hard dollars in the deal. So, the preferred return is the money that comes out before the other money is distributed. So, a preferred return typically is anywhere between 7% and 10%. 8% is probably the most common preferred return that we see out there but it’s flexible. It’s negotiable. Jeff Lerman: And then, in addition to preferred return, you have to decide is it going to be cumulative or not cumulative, and compounded or not compounded. Cumulative means that if you don’t, if the deal doesn’t throw off enough money to pay that preferred return in any particular year, do you lose it for that year, or does it just go over to the next year? So let’s say in year one, let’s say you and I, Mike, are doing a deal. Okay? Let’s say you found the deal. I’m the money guy. Okay? Let’s take the deal and you’re giving me an 8% pref. So, if in year one, there’s only enough cash flow to pay me a 4% pref, so the deal is going to pay me 4% in year one. But in year two, I’m going to get 8% pref plus the 4% slop over from year one. Does that make sense? Jeff Lerman: So, that’s cumulative and that’s pretty common but it’s negotiable. It could be noncumulative, which is just the opposite of what I said. You don’t get it in year one. Forget it. It’s gone. The other is compounded versus non-compounded, which is that if you don’t have enough money in a particular year to pay the pref, does that shortfall get added to the… Do you cumulate interest on that shortfall? So in year two, do I get 8% on my initial investment? Or, do I get 8% on my initial investment plus that 4% shortfall from year one? So, those are the two main related issues when it comes to preferred. The other is profit/loss split. What’s the profit/loss split going to be? That can be anywhere from a 50/50 all the way up to a 90/10, where the bigger number is going to the hard money person. It’s very unusual, and I certainly wouldn’t do it, to see a scenario where the hard money partner gets less than 50% of the deal. It depends. You break it down. It depends how much the investor is doing. Is the investor going to be the sponsor? Meaning, are they going to be the only one who gets the loan, signs on the loan? If so, they’re going to get an additional percentage for that, but it’s also going to be a factor of really how big the pie is, what the profits are. Jeff Lerman: So if, for example, in a joint venture, when I do a joint venture, my rule of thumb, for me, is I like to be able to double my hard dollar investment, at least based on a pro forma, within four years. Meaning that if I come in with, let’s just say, $1 million, I want… Not necessarily saying that we’re going to sell the property in four years, but I want to be able to see on a realistic pro forma that if we did sell within four years, that I would get a double of that investment within four years. Jeff Lerman: So, an average annual return… Forget IRR, internal revenue return, for now. Let’s keep it simple. Jeff Lerman: An average annual return on investment of 25%… Those deals are out there. They’re hard to find but they’re out there. Jeff Lerman: The deal I did a couple months ago has that kind of return. Jeff Lerman: So, it is [inaudible 00:14:55]… Just to go back to what I just said, if you can, if you, as my partner, Mike, if you have a deal that’s fat enough, the pie is big enough, where you can get 50% of the deal and still give me what I want, God bless you. Let’s do that deal. Jeff Lerman: But if your deal is thinner, then you may have to give up more. Maybe you got to give me 80% to get my 25, to get what I want. And, that really ultimately is a big picture thing that you always have to think about in partnerships. How can you make sure each partner is getting what they want? Jeff Lerman: Because at the end of the day, this is a business marriage. Mike Hambright: Yeah. So Jeff, talk a little bit about where… If you’re the type of person that wants to find deals, go out and hustle and earn that sweat equity, how do you find money partners? And the other way around, if you’re a money partner and you’re looking for… Your issue is time, or geography, or whatever it might be, how do you, especially if there’s a geography difference involved, . . .
Mike Hambright: . . . how do each of you find that partner? Jeff Lerman: Great question. So, the most typical way that people find money partners is friends and family. It just is. In the industry, that’s a truth, for good reason, obviously. I mean, they’re right within your sphere of influence. They know, like, and trust you. So, that is always going to be the low-hanging fruit, your go-to that you should try. I’m going to put a big caveat here. Philosophically, if you’re thinking about doing this, you need to really think long and hard about what your philosophy is about doing business with family and friends, because when you introduce money into that relationship, that can ruin a relationship. Jeff Lerman: So, I have friends who we have talked about investing, and they said, “You know what? My philosophy is that I don’t want to do business with friends. Let’s keep the money out of the relationship.” No right or wrong answer here. It’s just something that is important for you personally to decide on. Make sure that you have that kind of discussion with your relative or friend; that they’re thinking about it as well. Jeff Lerman: Then, you just need to make sure that you understand that when you’re doing business with family or friends, you got to be super careful about handling everything. You’re going to always be careful anyway. If I’m investing… If I’m bringing friends and family into a deal, I’m always going to be so much more concerned about losing their money than my own. Jeff Lerman: But you’re going to be that way with any other investor but obviously, when you’re dealing with friends and family, it just increases that sensitivity. Mike Hambright: Yeah, you spend holidays together. Yeah, lots of things could go wrong. Jeff Lerman: So friends and family are a good way to go. After there, there’s a whole other category of strategies that you can use. The most common ones out there — and I’m not the first one to suggest these, this is common knowledge actually — real estate investment associations are great if you’re looking and build the relationships that way. There are some great networking events that are going on out there. There’s somebody out there, Dave Lindahl. I don’t know if you’ve heard of Dave. Mike Hambright: I interviewed… Yeah, Dave, I just interviewed Dave last week. Jeff Lerman: Oh. Did you? Jeff Lerman: So, I have been to a lot of events. I think Dave’s got some of the best networking events. He’s going to be having one actually in August, in Boston. I’m going to be going to that one. I found my last deal at his networking event a few months back. So I’m a believer. I’m going to actually be speaking on this topic at that event . . .
Jeff Lerman: . . . in greater detail. I’ve been to a lot of networking events, and I think Dave fills the room with people who are really doing deals. So I think, from my personal experience, I think that is a great forum for you to go to find like-minded individuals, not just like-minded individuals, but those who are actually doing deals. I’ve been disappointed by a lot of arenas I’ve been to, where there’s a lot of people who show up, but they’re not actually doing deals, or the deals they’re doing are kind of small. I’m looking to do larger deals. I’m looking for deals with a couple hundred units and whatnot, or at least 100 units. So you got to go to those larger areas, where people are doing larger deals, to try to find those kind of relationships. Jeff Lerman: So, there are a lot of other ways you can go about trying to find people with money. Go to networking groups, business networking groups. I think all of those are a little bit, for me, a lot slower track. You got to find people at those groups who are interested in investing in real estate deals and investing in the kind of deals that you’re going to do. I think it might be a longer process from the point of meeting to the point of getting them to invest in your deal. I think that’s going to be a bit of a longer process. So, if you want to fast-track it to go to an event where there are people that are just apartment investors, if you want to do apartment deals, I think that’s the fast-track method. Mike Hambright: Sure. Sure. And, Jeff, a lot of times, the money partner in a deal… Well, you know this more than me. It’s fairly often that that person, given that their big issue is time, is that they don’t want to have to babysit a project either. So, talk a little bit about some common structures for who’s making decisions on that partnership, whether it be choosing the property management company or kind of just overall managing the property management company because let’s face it, it’s nearly impossible to truly be passive in real estate investing, regardless of what anybody says. But, talk about how to structure those and what typical roles look like. Jeff Lerman: Yeah. By the way, before I answer the question, I also want to mention Charlie Dobbins. He also does some great educational events like Lindahl. He’s got very serious-minded people there, some great networking. I’ve been to his events as well, so seek him out as well. Mike Hambright: Yeah, he’s been on the show. He’s an example of somebody that actually choose… He has an internal management company. Right? He manages everything himself, I believe. So, one more point is, how do you determine who’s going to play what role in a joint venture? Jeff Lerman: Okay. So it’s a negotiation, and that is going to depend on the skillsets of each of the people involved. In our particular situation, in my situation, I don’t like to micromanage. But until I get comfortable that my partner has these skills necessary to protect my investment, they’ve got to earn my trust. It’s going to take a certain amount of time. It could be as short as a one-hour meeting, or it could be as long as one entire deal. Hopefully, it’s somewhere right around 60 to 90 days of actual working with somebody, enough, in a large enough variety of issues and situations, to get really comfortable. Jeff Lerman: That’s just me. But I think that typically, what you see is in this scenario, we got the sweat equity person and the money partner, where the sweat equity person hopefully is going to be doing most of the work in the deal. Again, not one-size-fits-all. Maybe the sweat equity person, maybe their primary value-add is they’re a great bird dog. Maybe, all they do is they find the deal. In which case, the deal is going to reflect that. But in general, I think what I see out there is that you’ve got… When you do have that sweat equity person, their business proposition, their main value-add, is they say, “Let me take the lead on pretty much everything.” Then, it’s up to the investor to see how comfortable they feel with letting that sweat equity partner protect their investment. And, that’s going to be something which, again, you got to do… I do my due diligence not only on the deal but on my partner, and I think any prudent investor is going to do the same thing. Mike Hambright: Sure. Sure. Talk a little bit about how folks can find, how they should vet out an attorney. I mean, a bit of a shameless plug. I’m sure you want everybody to contact you. But for those that are looking for an attorney, how do you know you’ve got a good attorney to help structure this thing? Jeff Lerman: Well, I think… Again, I’m going to give you an answer that is not unique or novel. I think this is what any objective party would advise. First and foremost, I would go to their website and just try to understand what their skillset is. What’s their expertise? What space are they active in? You can do that by just looking at their practice areas, looking at what articles they published. Look at their testimonials. Look at what they’ve done for people. What you really don’t want is somebody who dabbles in this. Say somebody is a family lawyer, and then you say, “I’m going to do a deal. Would you mind setting up my entity?” I actually do litigation as well, and we have seen far too many cases end in litigation, where the client was using a lawyer who [inaudible 00:2535] wasn’t inside their wheelhouse. So first and foremost, you want to find somebody who has fairly significant expertise in that particular area, and then you want to take a look at their testimonials. That is social proof. It’s the best way for… It’s what I use. It’s human nature. I want to take a look at what other clients have said about the work this lawyer has done. You want to look at how they distinguish themselves in their field. The way they do that is by writing articles and by being very actively involved in industry associations, such as any association where you are recognized by your peers, whether it’s being the president of the county bar or being AV-rated by Martindale-Hubbell, which is peer review. That’s completely peer review. AVO is the same way. A super lawyer is completely peer review. So when you… It’s cumulative. Then, you got to actually talk to that person and determine: is this somebody that I can relate to? Is this somebody who understands what my concerns, needs, objectives are? What I’m trying to accomplish, does this person get it? And, can they be efficient in getting me the result that I’m looking for? Because in this business, in law, there is a whole range of lawyers, in terms of expertise and also rates. We’re not the most expensive. We’re not the cheapest. We like to think that we’re probably… We try to be as efficient as possible. So at the end of the day, we are the most affordable. The biggest reason that… The biggest, I think, value-add that we bring to the table is our aggressiveness and creativity in coming up with solutions that work for our clients. And so, to me, when I look to hire a lawyer, those are the things I look for. Those are the things I like to provide to my clients. So, I think those are some of the things that you want to be thinking about when you hire a lawyer. Also, referrals, of course, referrals by your CPA or other lawyers or friends or whatever. People do that [inaudible 00:28:01]. Mike Hambright: Yeah. So, Jeff, any final kind of advice you would give folks that are looking to joint venture on deals, some of the things that they should think about upfront before they get started? Jeff Lerman: The single most important thing that I think you need to focus on, if you’re going to do a joint venture, is to make sure that you have picked the right partner. I can draft the best document for you but if you end up having selected somebody who is litigious… And by the way, that’s part of what we do when we are walking our clients through this process. We have a whole checklist of steps that you can go through to discuss with a prospective partner 17 different issues that, by the time that you’re done going through that 17-step process, you have really done a thorough vetting, and you’ll have a very good idea who it is that you are going to be entering into this business marriage with. And, I think that, ultimately, is the single most important thing. If you’ve got the right partner, then everything else is secondary. By the same token, if you’ve got the wrong partner, nothing else matters because your life is going to be a living hell as long as you’re with that partner. So again, when I say a business marriage, it is a business marriage. It’s a relationship that is very, very important. So that’s probably the single-most important thing. But we talked about just joint ventures. We also do syndication. That’s a topic for another day, probably. Mike Hambright: Sure. Sure. Jeff, I definitely appreciate your insights and information. Thanks for being here today. Jeff Lerman: Thank you. Thank you for having me. Mike Hambright: Stay in touch, and we look forward to talking to you again soon. Okay? Jeff Lerman: Sounds great. Thank you. Mike Hambright: All right. Bye bye.